A. Our mission is to serve the world and be a messenger of hope, inspiration, love and joy and to empower and inspire people all over the world to rekindle their gifts and their brilliance. The Executive Women’s Empowerment Program is a series of live and virtual events tailored to inspire and motivate high-performing and emerging women to take the next step in their own leadership development. The program enables women to create a legacy support system within their organization and remove barriers in the way of their own professional and personal success. A. I am passionate about the one! Follow your heart and go where the love is! So many times we overthink it and over-strategize about putting it off until everything else is in order. “Stop Shoulding On Yourself” (trademark) and stop waiting for the perfect moment. Follow your heart, follow your soul's highest calling and go where the love is, meaning start your business and begin to follow it. Start getting people who already know you love you and respect you to help you begin your journey. A. I followed a mission on my heart to begin a podcast called “A Celebration of You” because I love to celebrate amazing people around the world who have overcome immense adversity and are living an extraordinary life. Please listen to “A Celebration of You” and leave comments and if you know someone who has wonderful story of overcoming adversity and their story would give people hope, I would love to interview them! A. There is no one single person who has ever had an influence in my life. It is all the people and in particular women who I meet in my journey that inspire me to keep doing what I am doing. So it continues to be an ever-flowing inspiration. A. I have been through many dark times. I have chosen to live a life I create versus a life of fitting in. 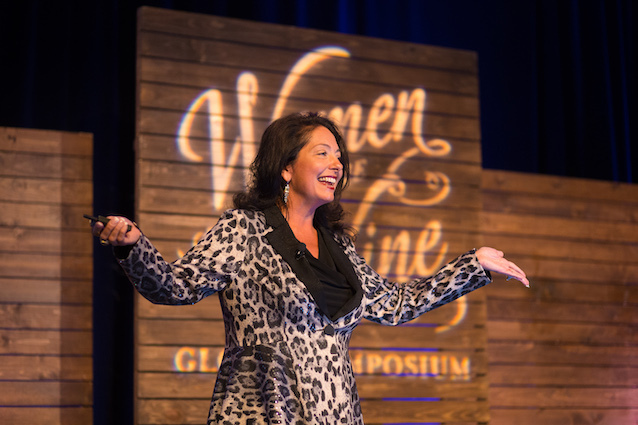 I chose to live in “wow is me, not woe is me.“ Please see “How I Rekindled My Light” on LinkedIn and how I changed the dynamic of the conversation with my article on and Thrive Global. This story was just shared 2 years ago after a 25 years of struggling with the turmoil to reveal it. To women all around the world, I ask you…are you choosing to be a victor of life or a victim of life? Because it’s all a choice. Stop looking at the people around you and ask them for permission to start choosing how to live your life and how to bring out the best of you and live your soul's highest calling. Connect with Holly through her Linkedin page!